Amid a political fight over President Obama’s immigration reform actions, US lawmakers have until Friday night to renew funding for the US Department of Homeland Security. If not, the impacts go beyond the furlough of 13 percent of the agency’s employees. House Republicans have passed a Department of Homeland Security (DHS) appropriations bill, but it is contingent upon gutting Obama's 2012 and 2014 executive orders that negated the threat of deportation for an estimated 5 million undocumented immigrants seeking refuge in the United States. Obama has threatened to veto the House measure or any other that threatens his immigration orders. In the Senate, Democrats, who hold a slight minority in the Upper Chamber, have blocked the House funding bill several times, calling for “clean” DHS-funding legislation that would maintain Obama’s immigration orders. On Wednesday, the Senate did unanimously approve to open debate on a $40 billion DHS-funding measure that would not include the immigration amendments in the House-passed measure. A final Senate vote on clean DHS-funding legislation could come as early as Thursday. Senate Majority Leader Mitch McConnell (R-Kentucky) said the Senate may weigh in on the immigration executive orders in a separate vote. "I would welcome bipartisan cooperation," McConnell told senators, according to AFP. Speaker Boehner said Wednesday that the House will wait for the Senate’s next solid move before acting. "Until the Senate does something, we're in a wait-and-see mode," Boehner told reporters Wednesday after meeting with his Republican caucus. To stay firm and keep favor with his conservative flank, though, there is evidence that Boehner is taking a risk that meets disapproval with public opinion. A recent CNN survey found that 53 percent of respondents said they would blame the GOP for a DHS shutdown, while just 30 percent said they would blame Obama. With a considerable number of DHS employees facing furlough and most other employees forced to work through an agency shutdown without pay, Republicans may have to own any negative ramifications that come with an agency charged with a substantial amount of domestic policing running at less-than-full strength. The agency has designated around 85 percent of its workers, or about 200,000 people, as being “exempt” from a forced furlough, given they work in areas that are vital to security or are funded by sources unrelated to the congressionally-approved budget. For instance, Transportation Security Administration (TSA) travel screenings at airports would certainly continue, as would the Federal Air Marshal Service, Coast Guard patrols and disaster relief execution. While these employees would be required to work, they would not get paid until a funding measure is passed by Congress and signed by Obama. This scenario will certainly hamper a workforce rated as having the lowest morale among large federal government agencies. "People on the front lines, aviation security, maritime security will be forced to come to work without a paycheck. And so for the working men and women of my department to have to work without a paycheck is very significant and very serious. And Congress needs to appreciate that," DHS Secretary Jeh Johnson said Sunday. About 30,000 “non-essential personnel” would be sidelined during a department shutdown. Procurement, hiring, training, administrative support and “the bulk” of management involved in coordinating efforts such as domestic anti-terror operations would all be affected by a funding expiration, according to reports. 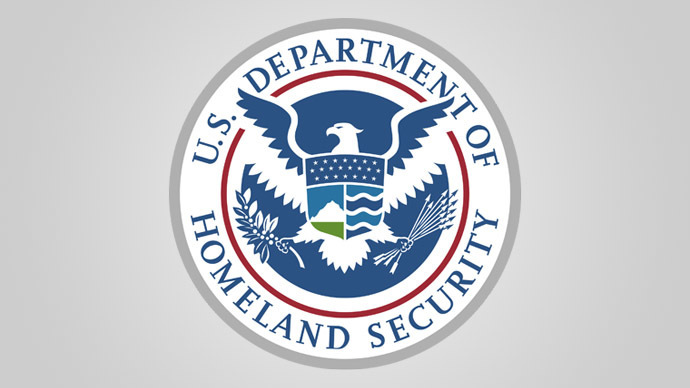 A DHS shutdown would also freeze $90 million in border security efforts; $21 million for Secret Service preparations ahead of the 2016 presidential election; and $2.5 billion offered to states and localities for law enforcement initiatives, according to Yahoo Finance. Johnson said at a press conference Monday that 13 percent of the agency out on furlough will put a strain staffing and readiness, whether it’s for a natural disaster or a terror threat. Officials with the New York Police Department said Wednesday that the arrest of three New York men who allegedly planned to travel to Syria to join the jihadist group Islamic State highlighted the need for DHS anti-terror operations to remain fully funded. Anything funded by a “non-disaster” DHS grant would halt as well, “from surveillance cameras in New York to K-9 units in Massachusetts to firefighters’ oxygen tanks in Denver,” The Atlantic wrote. In addition, E-Verify, a citizenship and visa database used in hiring processes, would not be active. About 500,000 of 6 million private employers use the database. Johnson has said an agency shutdown would negatively affect investments in border security and geospatial intelligence operations, as well as the "more aggressive investigations" by immigration and customs officials of criminal organizations involved in drug, cyber, and human trafficking crimes. Ironically, the agency shutdown would not hamper the US Citizenship and Immigration Services – the agency charged with enacting Obama’s 2012 and 2014 executive actions on immigration reform – as it is funded mostly by fees paid by applicants. To avoid the Friday expiration and push a larger decision into the future, Congress and Obama could decide to pass a short-term “continuing resolution" that would extend agency funding at current levels while lawmakers continue to debate a long-term deal. In October 2013, a similar, albeit larger, budget faceoff between Republicans and Democrats caused the majority of the US government to shut down for 16 days, putting nearly 1 million workers on mandatory leave. An eleventh-hour agreement between the parties spared a potentially damaging debt default.